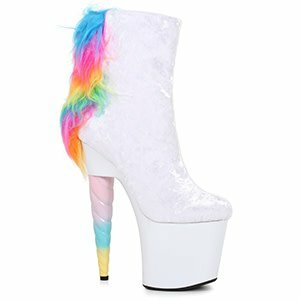 These ankle boots not only feature a unicorn horn heel, but a rainbow colored mane that will keep you trotting in style! 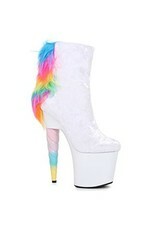 A perfect piece to you unicorn ensemble! Seriously, build your cosplay around these shoes!